Why Lennon, Camak & Bertics, PLLC? The legal team at Lennon, Camak & Bertics, PLLC, consists of experienced litigators and diligent paralegals, backed by a dedicated support staff. We draw on each other’s strengths and experiences in seeking the best possible result for our clients. What sets us apart is the combination of significant expertise and a hands-on approach to every case we take. We are not running a “settlement mill” like some other firms. We strive for the best long-term outcome for our clients. The attorneys at Lennon, Camak, & Bertics, PLLC, handle two, and only two, areas of law: North Carolina Workers’ Compensation and Social Security Disability. All of our time is spent helping individuals with significant medical problems navigate the complicated and frustrating workers’ compensation and Social Security systems. By limiting our focus to only two related areas of law, it allows us to better hone our expertise. 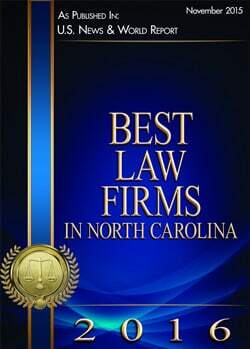 Our attorneys teach courses in our practice areas to other attorneys in North Carolina and nationwide. However, one cannot truly become an expert without going to trial. Every single one of our attorneys has significant experience trying cases before the North Carolina Industrial Commission and the Social Security Administration. While some attorneys are reluctant to try cases, and may push their clients to settle, we have found that sometimes the only way to obtain the best results for our clients is to be willing and able to fight a case in court. Significant expertise is not the only thing that sets us apart, however. Nationwide, the biggest complaint made about attorneys is a failure to return calls or be responsive to clients. We understand this. We return calls. We respond to emails. Our lawyers give our clients our direct telephone lines so that our clients do not have to send messages through a paralegal to reach us. We like meeting face-to-face with our clients. Our clients are heavily involved in forming the litigation plan for their cases. We understand we work for our clients and not the other way around. We make sure our clients always know where their case is, where its going, and what to expect next. Talk to Us and See the Difference! If these are the characteristics you want to have on your legal team, call us for a free consultation. Let us help you by developing an effective litigation plan aimed at reaching your goals.